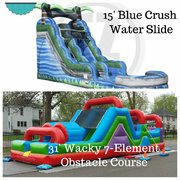 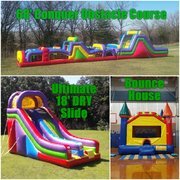 Discount Party Package Rentals | FroggyHops.com Minneapolis MN. 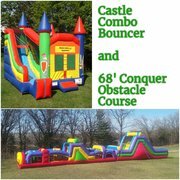 Do you want two or more inflatables for your rental in the Minneapolis or St Paul area of Minnesota? 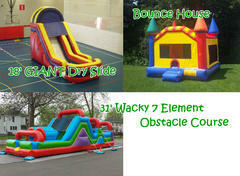 Froggy Hops has great Package Deals for multiple bounce house rentals! 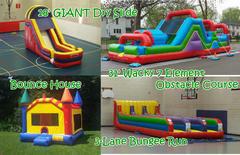 Don't see the specific combination of inflatables that you're looking for? 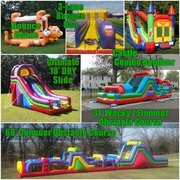 Contact us to put together a custom quote for your discounted package rental! 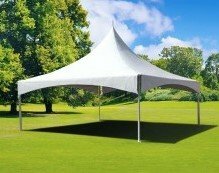 Package Deals are not valid with any other offer or discount.